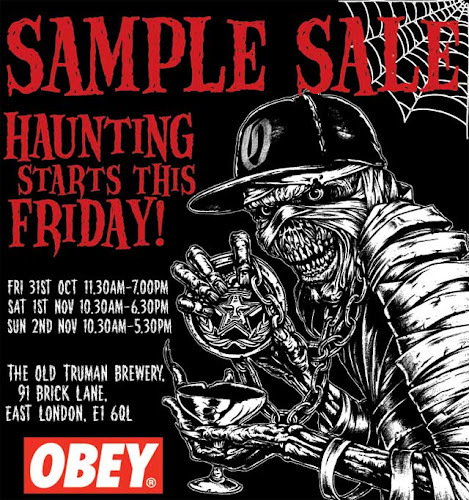 Just to let you know that the Obey Mens and Womens Sample Sale kicks off once again this Friday 31st October, starting at 11.30am and rolling through until Sunday 5.30pm. They will be resident once again in their favourite spot within the The Old Truman Brewery, Brick Lane, East London from Friday morning at 11.30am through to 5.30pm on Sunday 2nd. They have also got some sticker packs for the first 10 people through the door who say ‘Halloween has a posse and I’m in it!!! !’.